Sadio Mane’s brilliance may not always get the plaudits it deserves, but there’s no questioning what a formidable component of this Liverpool side he is. Humble and not one who enjoys the limelight, Sane’s exploits on the football field are the complete opposite, for he’s intense, entertaining and oozing dynamism. Having recently signed a bumper new five-year contract, this is further proof of just how highly he’s rated by the Reds. Jurgen Klopp’s subsequent comments duly evidenced this point. “This is a big boost for everyone and another demonstration of how the players we have at this club are committed, not just to our present but our future also,” said Klopp. 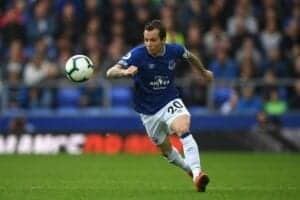 Going from strength to strength since joining from Southampton for £34 million two-and-a-half-years ago, the Senegalese international clearly relishes playing for the meticulous, demanding and upbeat Klopp. 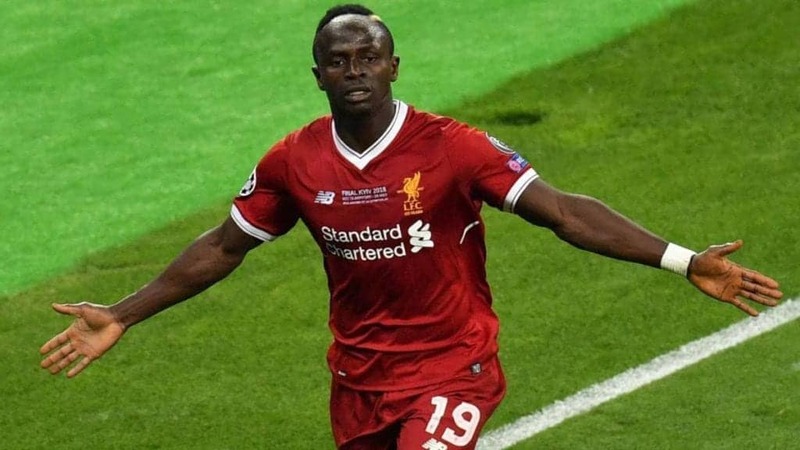 Scoring a sterling 43 goals and supplying 20 assists in his 101 matches for the Reds, Mane’s been a key driving force behind why Liverpool’s fearsome frontline is so challenging to contain. Forever putting his opposition on the back foot with his off the ball movement, the 26-year-old poses a persistent threat in this regard. Especially damaging with his neatly timed, angled and directed runs in behind, he waits for the right moment to get on his bike. Usually he’ll observe cues like when the ball receiver gets his head up and is in a position to play the ball before going. Also notable is how he watches his opponent’s position to make shrewd adjustments to ensure he can gain separation from his man. Through the use of little hesitation movements and sharp changes of direction, he does a super job of exploiting openings within his adversaries’ defensive organisation. One aspect that warrants special praise is how he will often drift behind his marker and make diagonal forward runs on their blindside. 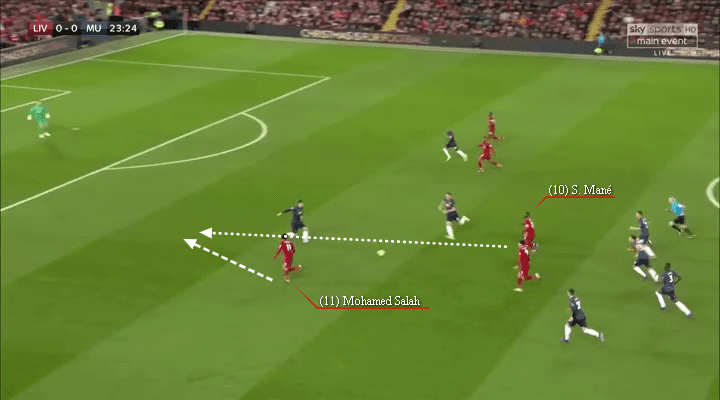 On top of these runs being extremely hard to track, they also give a dynamic advantage over his more awkwardly oriented marker, thus giving him greater momentum and an ideal forward facing body shape to attack balls in behind with vigour. 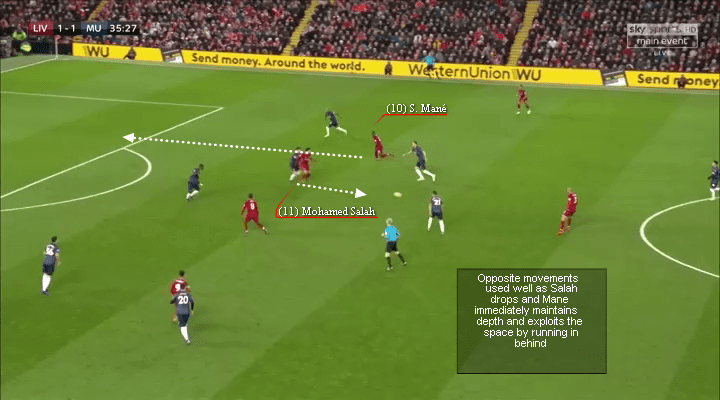 The intelligent Mane has also showed how effectively he can move infield and occupy spaces between the lines, where he’s done a tidy job linking midfield and attack with his strong back to goal play. In addition, when doing this, he’ll regularly draw his fullback inside with him to create room for his own fullback to charge down the now vacated flank. 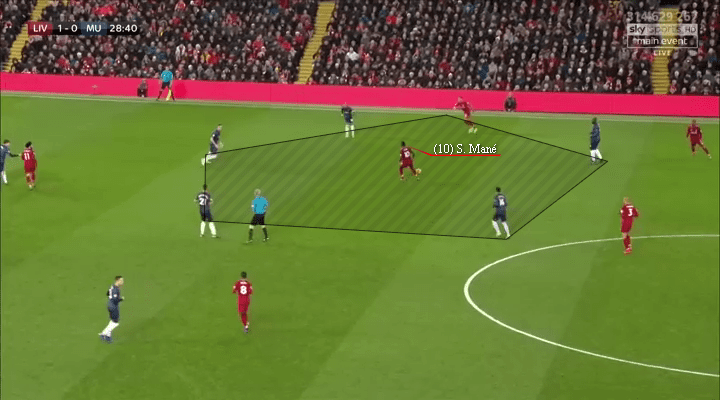 Another upside of this strategy is that it ensures he’s positioned closer to his fellow midfielders and attackers, thus ensuring he has many options to connect with. His opponents’ issues are notably compounded by his fluid rotations with his fellow attackers, fullback and nearby midfielder. Indeed, this ensures the opposition can’t settle into a pattern of how best to nullify him, for he’s always altering their reference points and causing dilemmas in regard to who should mark who. 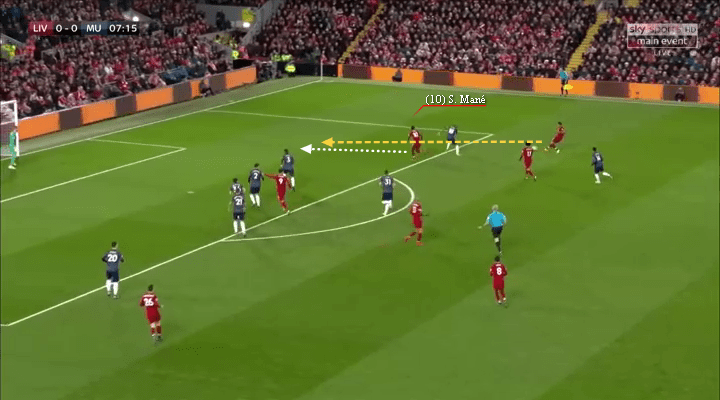 The end product is Liverpool manipulating their trackers to generate pivotal openings within the final third. Once in possession, the former Red Bull Salzburg and Southampton speedster plays a key role too. Starting with his dribbling, where his trademark style means he’s very hard to read. Parlay this with his frightening acceleration, sharp turning circle and lovely array of stepovers and feints, and it’s not hard to see why he’s such an unpredictable foe to stop. Excelling at running with the ball and keeping his speed, he’s extremely damaging when granted space to run into in transition. Efficient at maneuvering himself out of high pressure situations too, he’s proven what an asset he is in 1v1s and how effectively he can destabilise backlines through his ball carrying. Concise and incisive with his passing for the most part, Mane gives his team an added layer of offensive impetus with his distribution. Checking his surrounds before inheriting possession, the way he receives with his head up gives him the information he needs to execute his actions. A player that usually hits many high risk passes due to his advanced position and ambitious approach, he relishes attempting to unlock defences with intricate flicks, back heels and fast combination play, plus via incisive through balls and lofted deliveries over the top. So comfortable on the ball, the way he holds onto the ball for a little while longer sees him expertly provoke a pressing action to free up a colleague higher up or open up a passing lane. Although this can be risky, the benefits far outweigh the negatives, for it lessens the opponents’ presence in defensive areas. 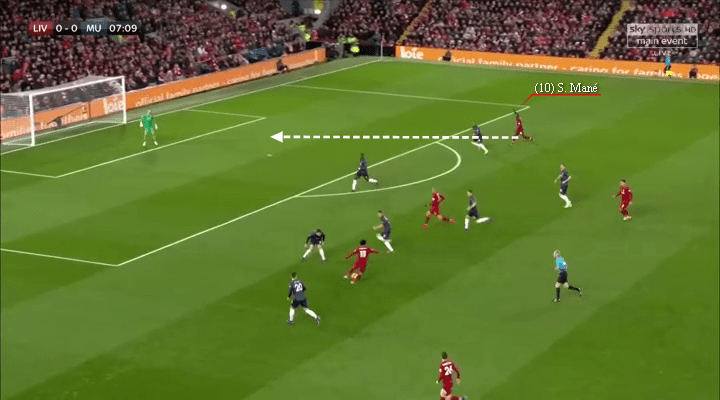 Moreover, if he does lose the ball, the Reds’ fearsome counterpressing usually sees them bring the pressure to regain it rapidly. By the numbers, his offensive stats make for fine reading, for he’s taking 2.1 shots per game, playing three key passes pg, embarking on 5.18 dribbles pg and going on 2.24 progressive runs. 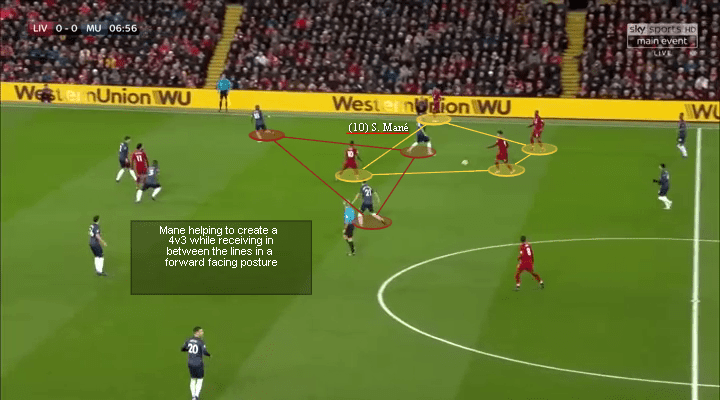 Defensively, Mane’s an indispensable element towards Klopp’s pressing and counterpressing mechanics, with his positional sense to know when to press, cover space or compensate for a teammate’s movement being exceptional. Ferocious in his pressing actions, he comes at his targets with pace while typically using his cover shadow to block potential passing lanes behind. So adept in this compartment, Mane’s impact is aptly demonstrated by his 2.5 tackles pg, 2.4 ball recoveries pg and 2.11 interceptions pg. A brilliant teammate and a terrific player in his own right, even if the supremely talented Mane’s efforts can slightly get overlooked at times, there’s no disputing his importance to Liverpool.